Board Chairs: Are You Playing Catch-Up in a Hyper-Connected World? I’ve been on a roll since my last newsletter: NACD Southern California Governance Week, Chicago, New York, and Tucson. I’m sure you can relate. I know I’ve been traveling a lot when my hotel bills exceed my monthly mortgage payment, yikes! 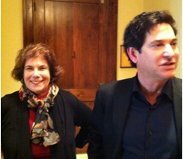 I had a wonderful time, and came away with clarity about the speed and connectedness that is bringing about a need for a refreshed mindset to lead the 2012 boardroom. I’m speaking with clients to encourage them to lead the boardroom by listening and looking beyond their trusted networks and influencers. This will be an important time to prepare for: A Winter of Activism. Give a call or email fay@riskforgood.com to prepare your boardroom to govern for speed in a hyper-connected world. The time to take action is now! After spending time with technology thought leaders, the distance is increasing from the empowered individual who is able to organize in a leaderless manner and the boardroom’s oversight of their institution. This has reached a tipping point and is changing everything. So–what are the lessons for companies and boards? When someone raises questions related to your practices, take a careful look and move swiftly to address concerns. The messengers are right under your noses, if you choose to see and hear them. In the end, it’s not who the messenger is that matters, it’s what they are saying that deserves your attention. A recent survey in Corporate Board Member magazine asked about board influence, with answers reflecting a very traditional view of networks. I challenge board chairs to think about asymmetrical information risk as a way to shape and expand information sources. Boards that stick to this universe of influencers will be losing ground in a networked, hyper-connected world. Which of the following groups do you believe influences your board the most? 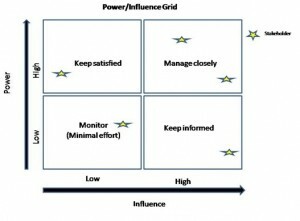 Whoever you decide to have influence in your boardroom, keep in mind that monitoring on the low end can act as an early warning in real time. 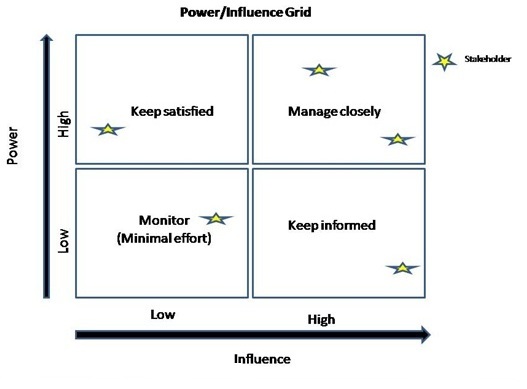 Communication tasks you need to take on for yourself are to manage the top group, or the high power-high influence group, very closely indeed. Their communication needs should be fulfilled at all costs and on highest priority. This group of stakeholders has the most involvement as well as the most power to make things happen. The next group, of high power yet low interest, needs to be kept satisfied with just the right amount of information. You need the information flowing to this class of stakeholder to be high quality but necessary. You cannot afford for this group to lose interest. The class that has high influence or involvement, yet not too high in the hierarchy to also wield heavy authority is an important class. You need to keep this group really satisfied since, when the need comes, they can help you out with their involvement. Keep the fourth group in mind by listening and responding as appropriate. Expand your network and keep surprises to your company and boardroom to a minimum. The same survey talked about keeping your skills updated. I spend time with directors who are active in attending training. Join me in 2012 as I encourage board chairs to making training a priority for themselves and their directors. In an age where speed is accelerating, you will likely be left behind without it. I’m encouraging board chairs to set aside time in the first quarter to learn about social media and the power of the virtual network. You can bet your shareholders and employees will be asking, Does our board represent the past or the future? How would you rate the adequacy of your board’s level of training? This past quarter, I listened to many outstanding leaders in business and the boardroom, from the NACD D100 presentation by General Stanley McCrystal to Marc Benioff, CEO Salesforce. All agree – speed and networks will be game changers for business to thrive in 2012. Resistance to the changes brought by the hyper-connected, empowered individual is futile. If you’re not ready to embrace the changes, I urge you to accept that 2012 will be the year to immerse yourself in keeping your skills up to date. Only then will you be able to evaluate the impact of these fast-moving changes on you, your business and your boardroom. Risk for Good is here trend-spotting for the boardroom, and welcomes a chance to speak with you on making 2012 successful for you.